It’s done. Sad day. But what an ending! And…totally off topic, but every time I see butterfly, I can’t help but think of the Korean (navi), Spanish (mariposa), and Japanese (ageha—which is actually the word for a swallowtail butterfly) words for it… I don’t know why. I love “ageha” the most for some reason… probably thanks to The Legend of Basara. Get it. Read it. It’s complicated and awesome. I still haven’t managed to complete the series yet, but I highly recommend it. They even have an abbreviated anime version. We open with the kidnapped Himawari being tortured by the vindictive Jorogumo while Watanuki holds Himawari’s burnt ribbons. 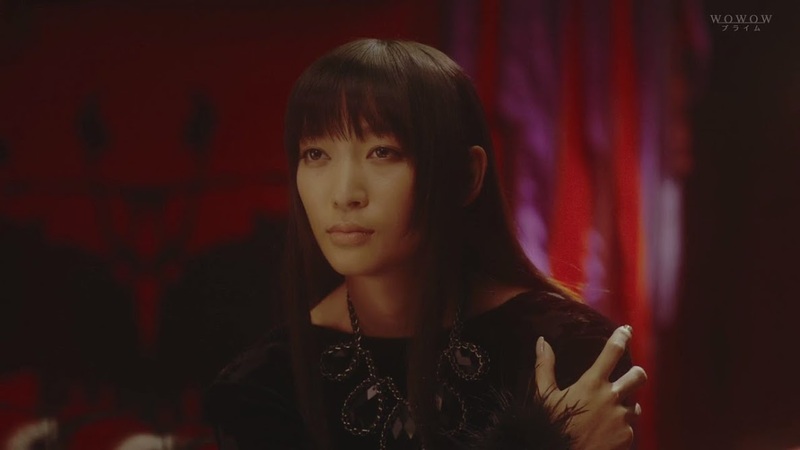 Yuko, with her usual straight, poker face) says that the Jorogumo has one purpose and one purpose only—Watanuki’s soul. 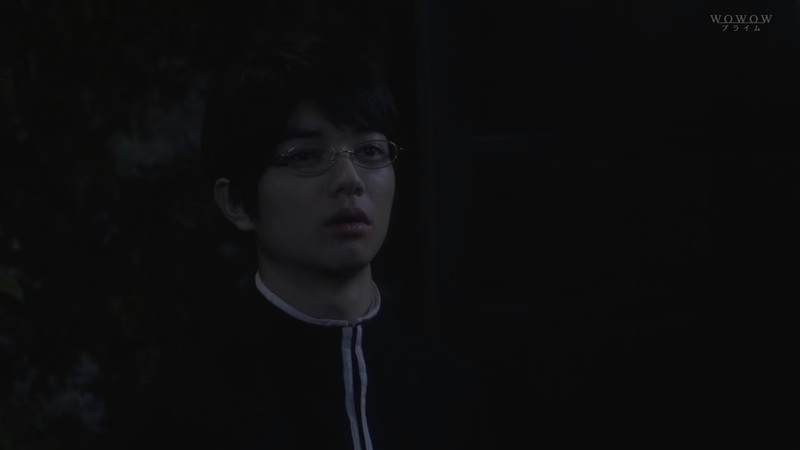 Domeki asks if he wishes to save Himawari, then can Yuko grant the wish? It’s not impossible, but since the Jorogumo is a very powerful and difficult enemy, the price is too high for them to ever pay. Even if they paid with both their lives, it would still not be enough to satisfy the price. Wow. Lives are worth a lot, so for two lives not to even touch the value… It’s pretty amazing, isn’t? Watanuki says nothing and just heads to the door. Yuko asks where he is going and he says it is simple—he’s going to do whatever he possibly can for his beloved Himawari. 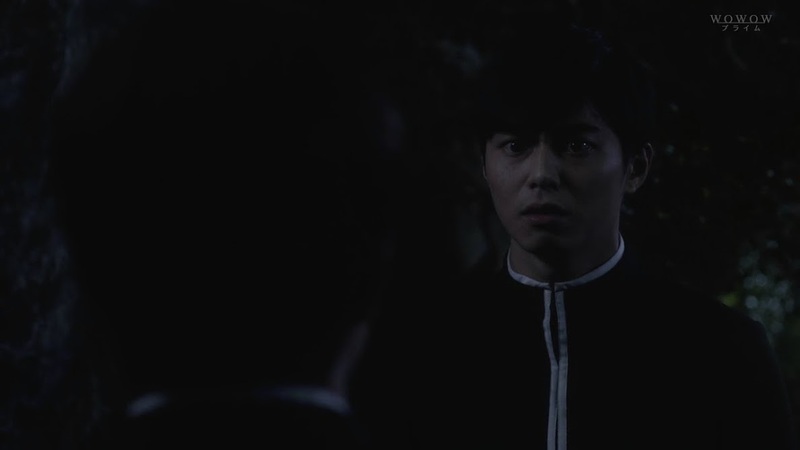 Watanuki strides past Moro and Maru who comment that he looks angry—of course he’s angry! Jorogumo is using Himawari to get to him. 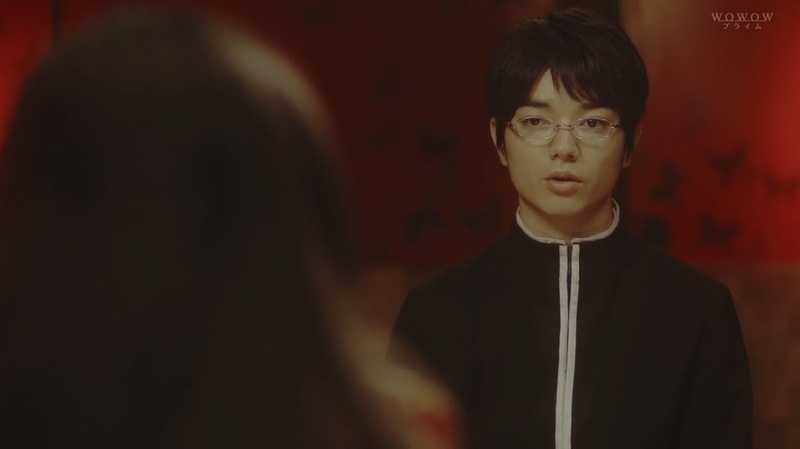 Domeki asks Yuko if she is really going to let Watanuki leave just like that. He gets to his feet only to collapse again. Yuko says that everyone cares for Himawari and she cares for everyone else, but no one notices how much it hurts the other party when you sacrifice yourself for them. “But those are the ties that bind us, aren’t they?” Domeki manages to get to his feet this time and leaves. 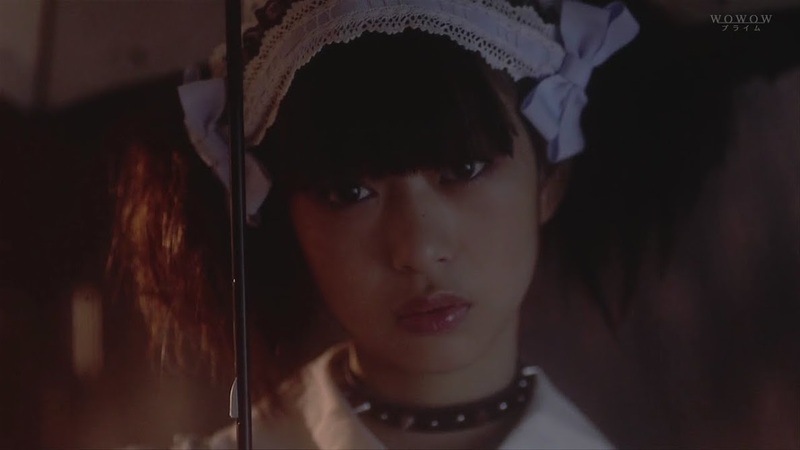 Yuko’s poker face has changed. Looks like Domeki’s words had some type of impact on her. 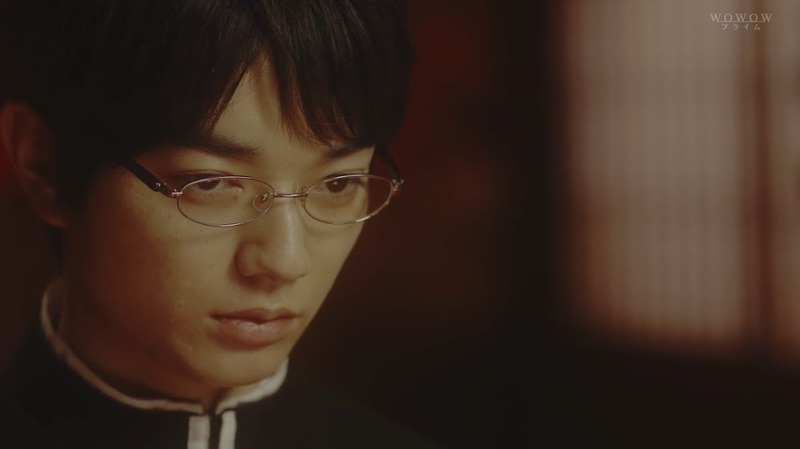 Domeki quickly finds Watanuki who shouts at him to go home already since Watanuki does not want to involve him any more (this is after Domeki asks if Watanuki plans to die). This angers Domeki. Doesn’t involve him? He gave up more than enough blood for Watanuki, thus the other boy’s body is not solely his own anymore. Go Domeki-kun! You tell that hardheaded mule. Domeki then tells him not to be selfish and that to make up for Watanuki did, he must make Domeki lunch every day without fail. 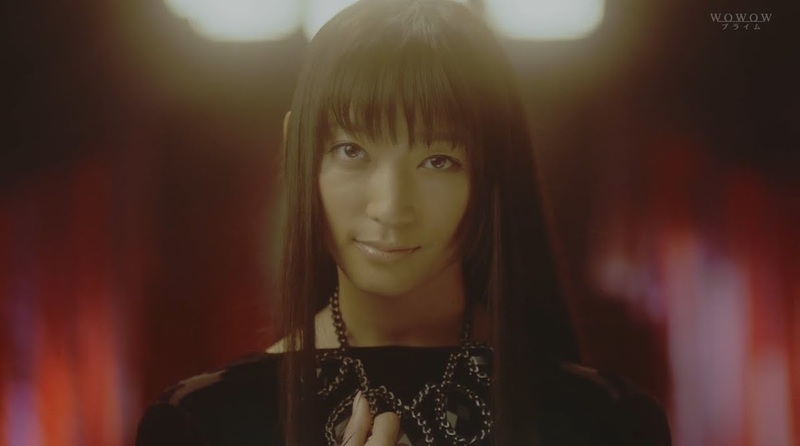 Watanuki smiles. That’s how Domeki will make him pay? Awwww. These two. So cute. Wish we could have even more of them. 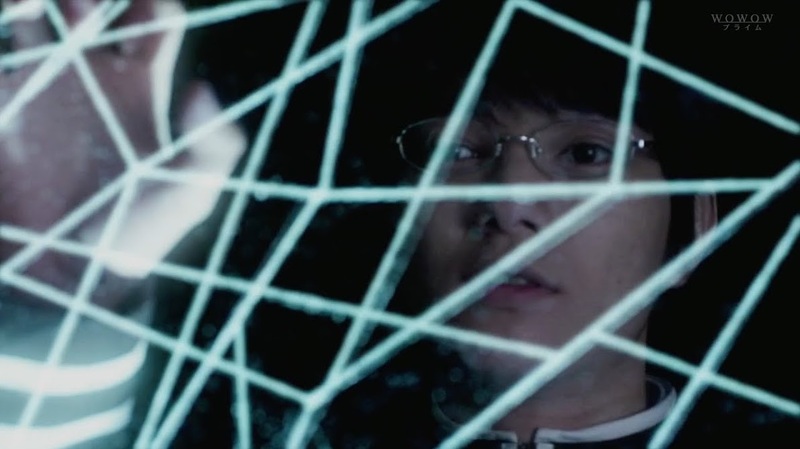 The two approach the spider’s web and Watanuki quickly shoves Domeki back. He gets behind the web and smiles at his friend. 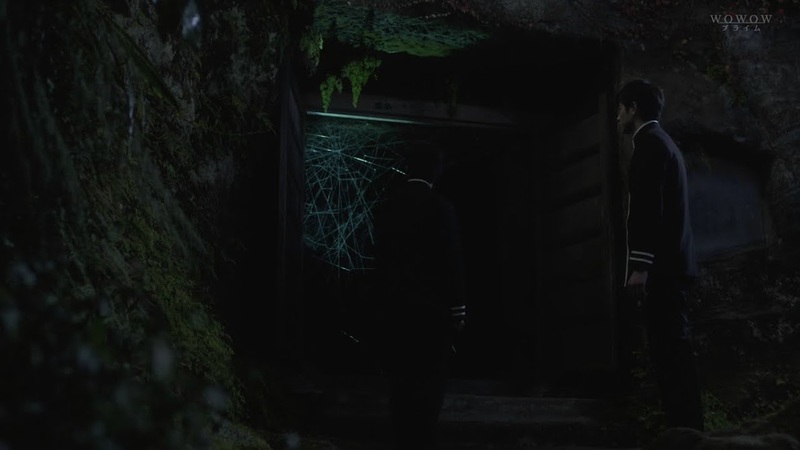 He thanks Domeki for everything and destroys the web so Domeki will be unable to follow him into the Jorogumo’s lair. I’m sure Domeki will find away. Meanwhile, Yuko sits depressed in her shop. The two little girls come to her and comfort her. 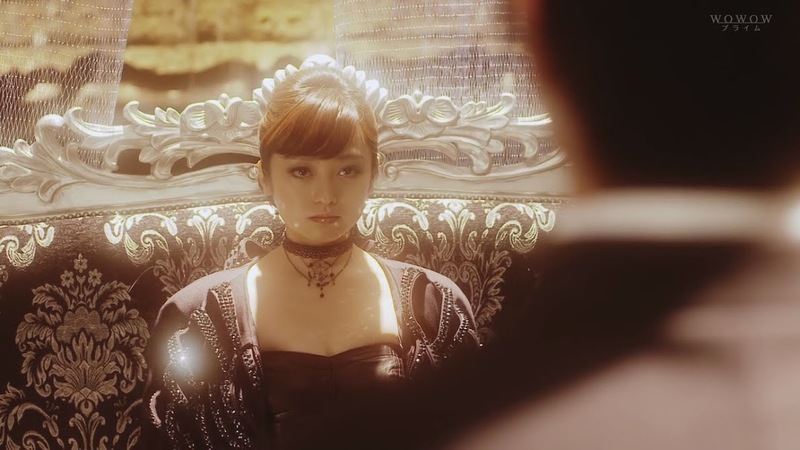 They like Watanuki… doesn’t Yuko? 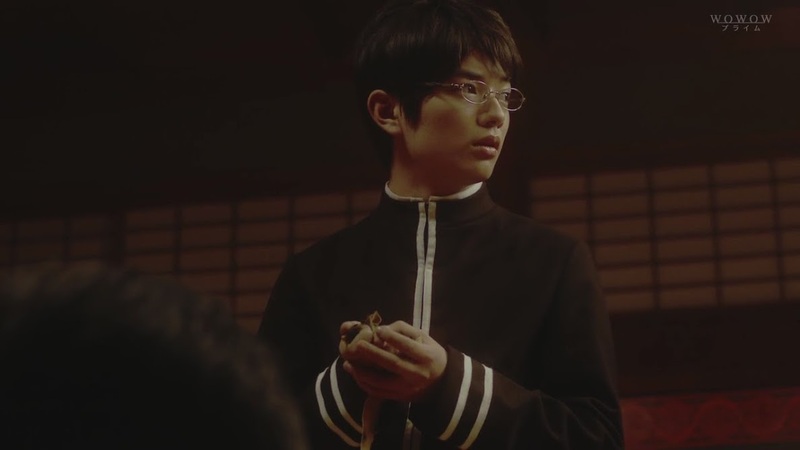 We then cut to the Amewarashi who has returned with the necessary payment for getting Watanuki’s help to save the flowers. 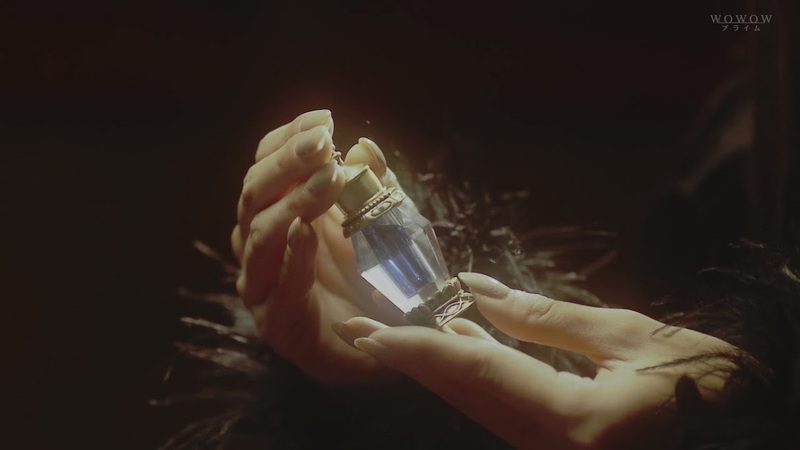 It’s crystal bottle containing drops of fire or tears of fire or something like that. Apparently, it’s ideal for driving away bad insects—especially hungry spiders. How…convenient. But, there’s only hitsuzen in this world, ne? Yuko thanks her as it must have been hard to collect even that amount. 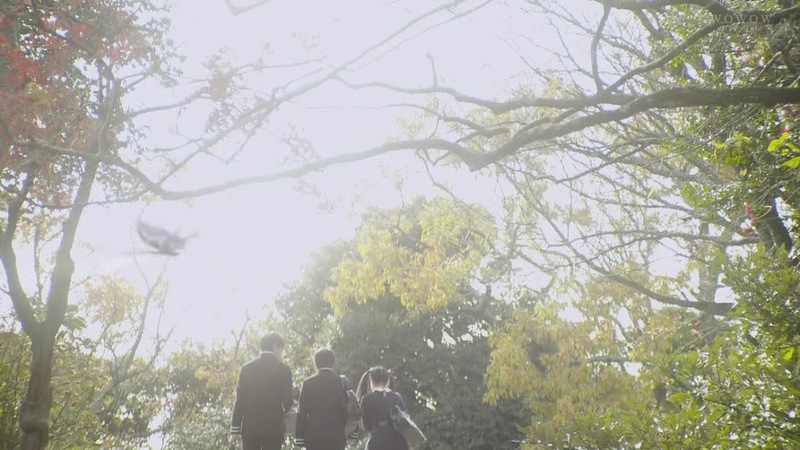 The Amewarashi refuses the thanks since Yuko helped save the hydrangea. Amewarashi then asks if Yuko is doing this for Part-Timer-kun. Yuko only smiles and the two little girls rush over happily clapping their hands and talking about how kind and good Yuko and Amewarashi are. The Amewarashi waves this away saying she isn’t. 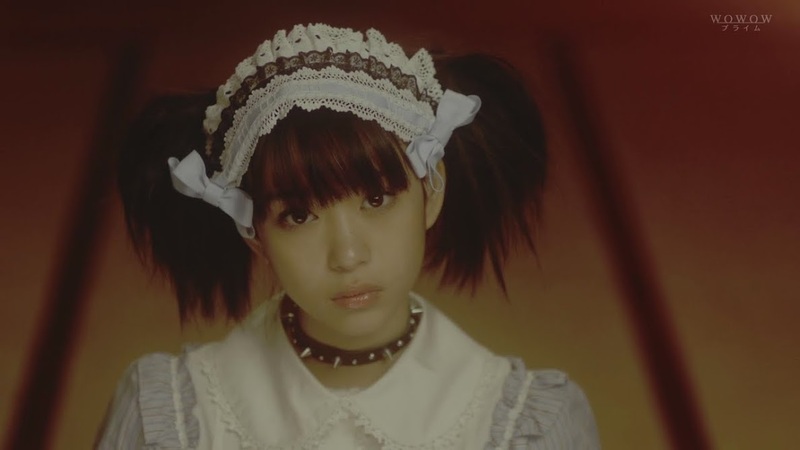 She then looks at Yuko and reminds her that creatures such as the Amewarashi have no obligation to save humans. Yuko stands and says the sprite is right. 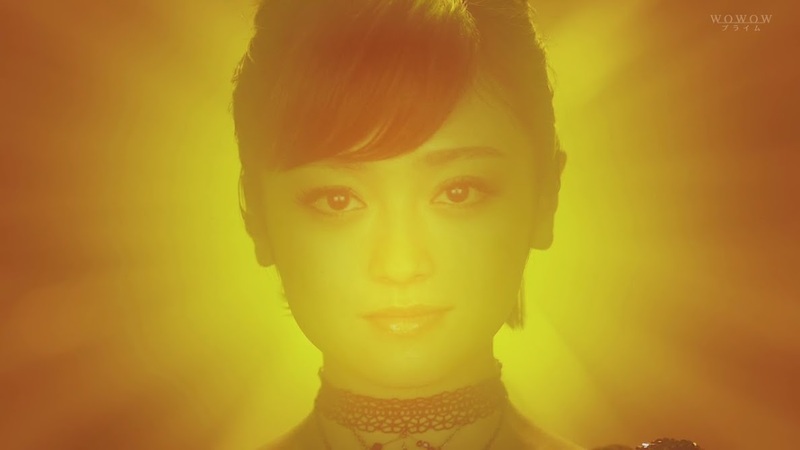 Yuko looks down at the vial and Amewarashi says Yuko has changed. Yuko only smiles. Yes, Watanuki helped make Yuko care more. 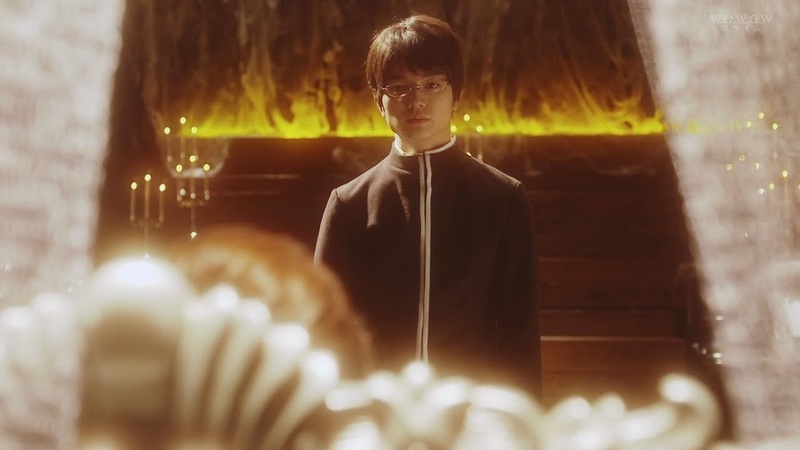 Watanuki arrives in the room where the Jorogumo tried to seduce him. He calls out softy for Himawari. She arrives with tea and acts in a way that I absolute abhor. Enter Jorogumo who tells Himawari to serve Watanuki tea and cake since he’s the important guest. Watanuki asks what Jorogumo did to Himawari, but Jorogumo says nothing—they just get along swell together. 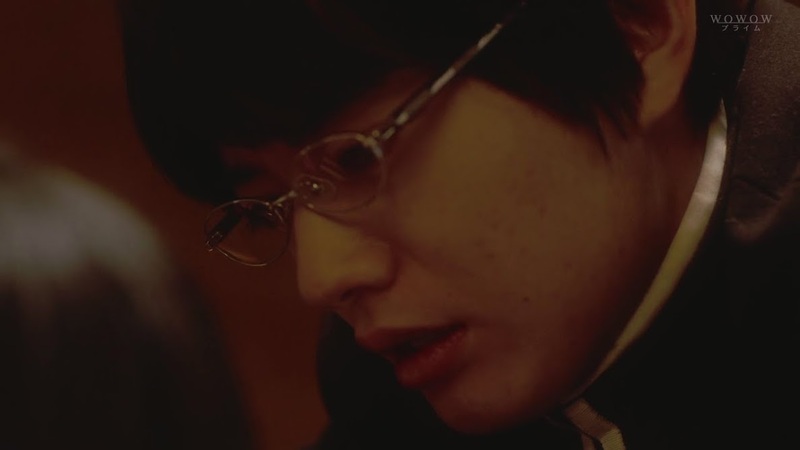 Watanuki then approaches the spidey lady and says he doesn’t care. He will offer up his soul, body, whatever, just as long as she lets Himawari go. Baka. Jorogumo’s smile fades and she says Watanuki’s way of asking for a favor is wrong. Watanuki, his face the usual emotionless mask, says “please.” He says it once more before getting down on his knees and bowing. Jorogumo asks what Himawari thinks. Himawari smiles and says that Watanuki’s soul his worthless since he gives it so easily and cheaply. 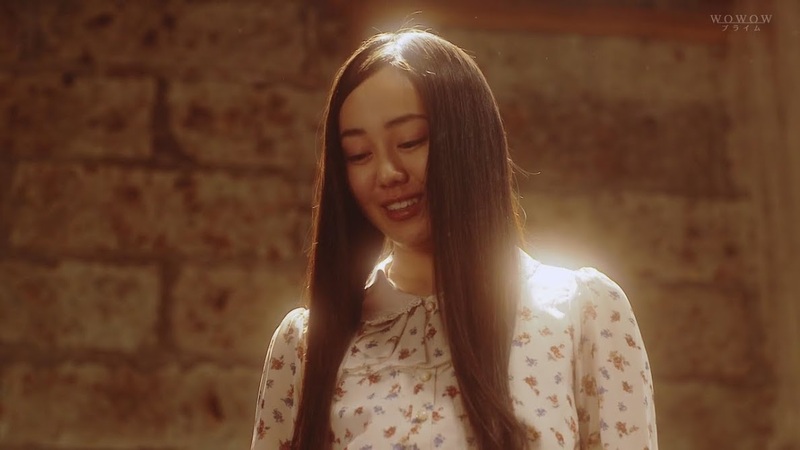 Himawari then tells him that she intended to kill herself even if it hurt Domeki and Watanuki, but after seeing Watanuki’s attitude, she changed her mind. Her dirty blood and his pure soul are all garbage. Ah, Miyazaki Karen is just not on par with this type of role. She’s not as good as the Jorogumo in doing what she is trying to do. It’s just not working. 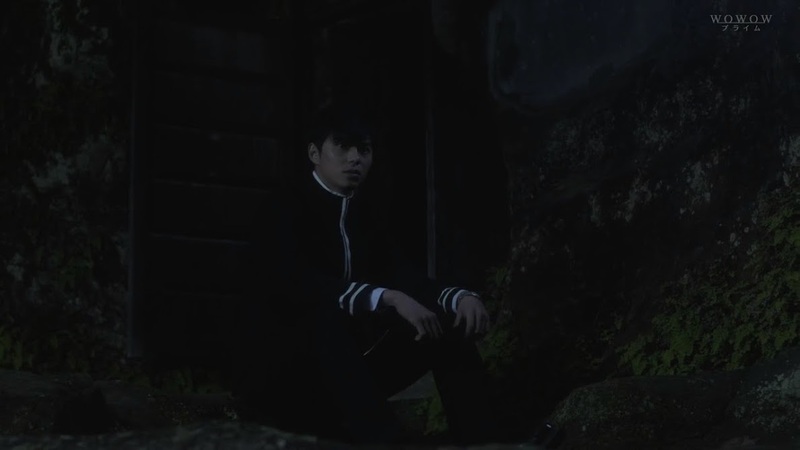 Meanwhile, Domeki waits outside as Yuko arrives. Yay! Watanuki is thrown on the couch and the Jorogumo kisses both his cheeks and asks if it is painful. She tells him it’s okay and that he can suffer, and suffer, and suffer some more. Each “suffer” is punctuated by a kiss. The more he suffers, the tastier his soul becomes. Jorogumo then kisses his mouth and Watanuki struggles at first before kissing her back. It seems…so…so…inappropriate somehow. Himawari watches on looking very, very unhappy. She picks up a knife lying on the table as Watanuki’s arms wrap around the Jorogumo. 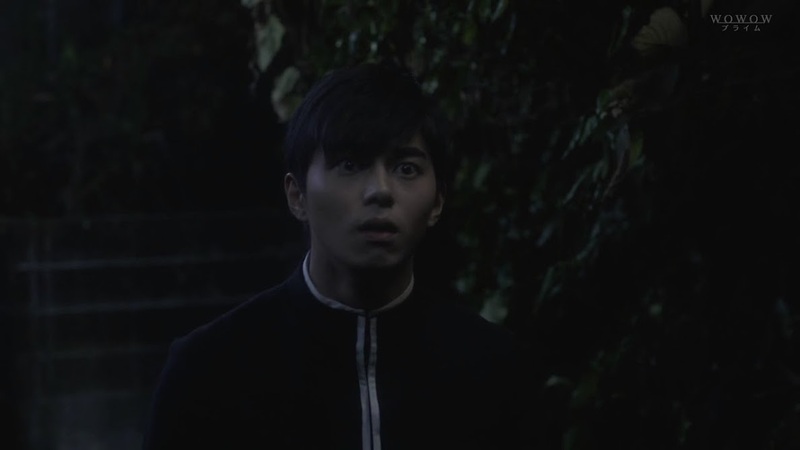 Domeki then calls out Watanuki’s name and the Jorogumo releases him and Watanuki gasps for breath. They both look to the back and there is Yoko dressed all in white with Domeki carrying a long bow behind her. The Jorogumo smiles. How rare for the dimensional witch to pay her a visit. Yuko greets Jorogumo and says it has been awhile, but the Jorogumo hasn’t changed—she still does anything to get what she wants. The Jorogumo smiles at this. 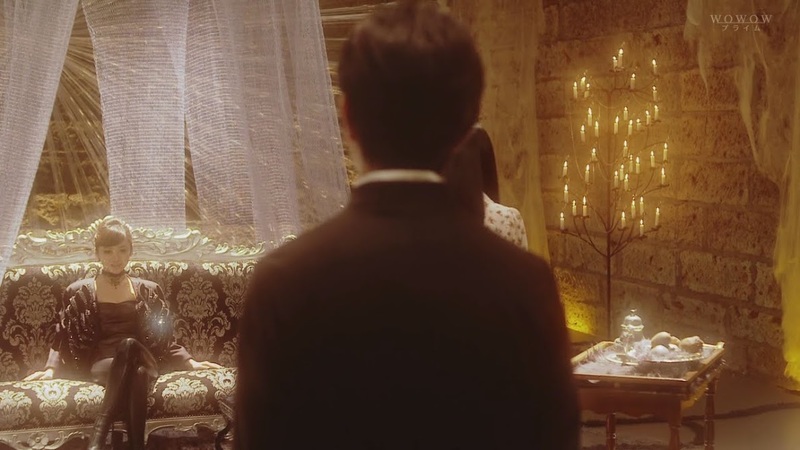 Watanuki looks over to the tea tray, but Himawari is gone. Where is she? Watanuki gets up from the couch and rushes away. 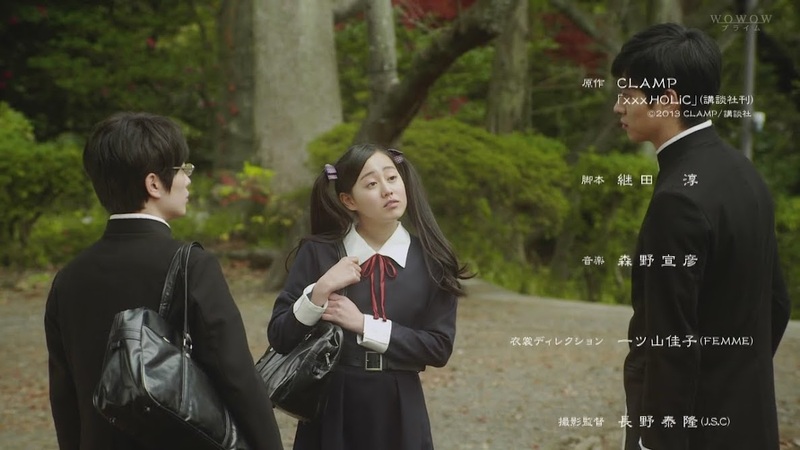 Jorogumo goes to follow, but Yuko holds up the present from Amewarashi. This makes the spider stop. Watanuki finds Himawari about to slit her throat with the knife. She tells him goodbye, but Watanuki rushes at her and stops her. This makes her shirt come down a bit and he sees his scar across her chest. 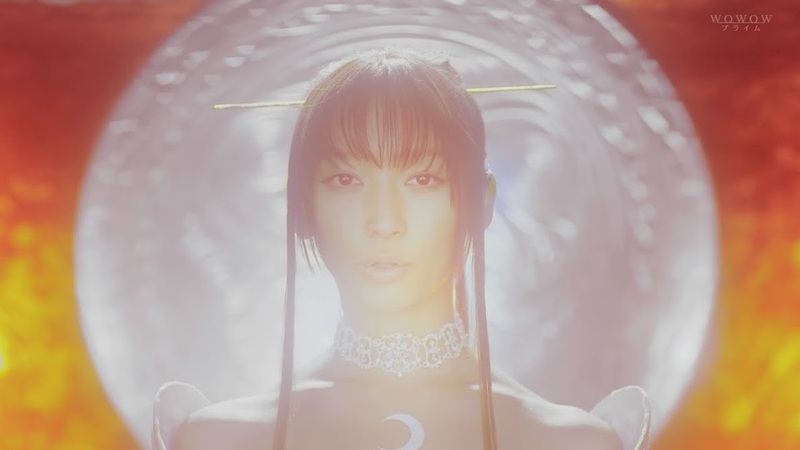 We then cut to Yuko who is glowing white and the Jorogumo who is glowing yellow. Jorogumo cannot believe that a supernatural being like Yoko would willingly save a human being. Jorogumo smiles and asks Yoko how much she will make the children pay? Yoko then replies that the Jorogumo will never understand there’s one thing that you can exchange in the world without a price. This makes the Jorogumo’s smile fade. 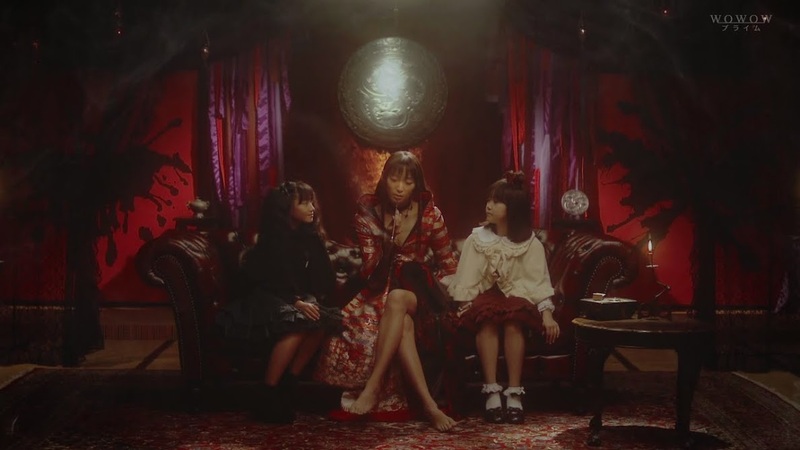 Jorogumo then says that it doesn’t matter as isn’t Yuko always the one who said humans can’t change? That’s why the Jorogumo tells them they are fine as they are. Yuko finally smiles and replies that humans change—that’s hitsuzen. While this conversation is going on, Watanuki is still fighting to stop Himawari from killing herself. Watanuki grabs the knife’s blade with his hand to stop Himawari, surprising her, but she won’t stop fighting for the knife—she even tells Watanuki that she wishes him dead. Watanuki tells Himawari that she makes him very happy. Himawari yells that he’s already told her that, but Watanuki keeps saying everything again. She’s his reason for existing, you know. Himawari again yells he’s said that before, but Watanuki yells even louder over her that because she’s his reason for existing, there’s no way he’d allow himself to die. Woohoo! So she can’t die, either, since she is fine the way she is. 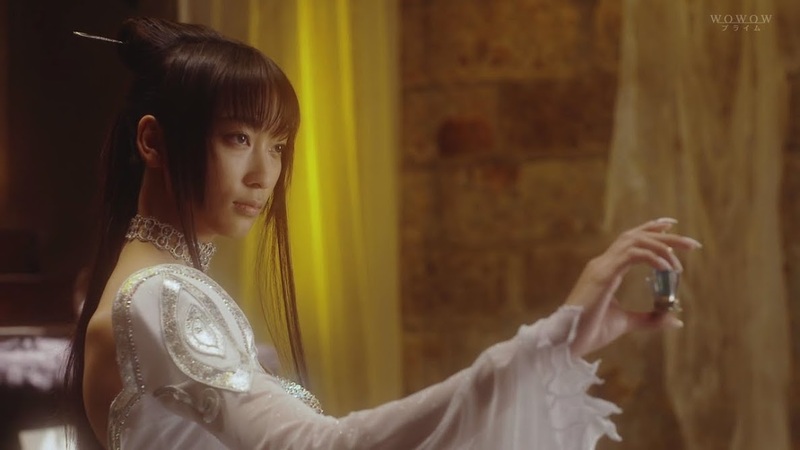 Watanuki yells at her to live. Himawari’s face crumbles and she does this really horrible crying scene. It’s so fake. Sorry. The Jorogumo unleashes her needle and Yuko throws up the bottle and yells Domeki’s name. He launches a spirit arrow which shatters the bottle and nails the Jorogumo in her head. Meanwile, Himawari collapses and the weakened Jorogumo sends every one back to the human world. So…anticlimactic. But…that’s kind of on par with other episodes. You get some great buildup only to have a rather trite and uneventful ending or climax. It’s not bad and I enjoy this series, but it does leave that hint of dissatisfaction. Yuko puts down her chopsticks and says that is right. 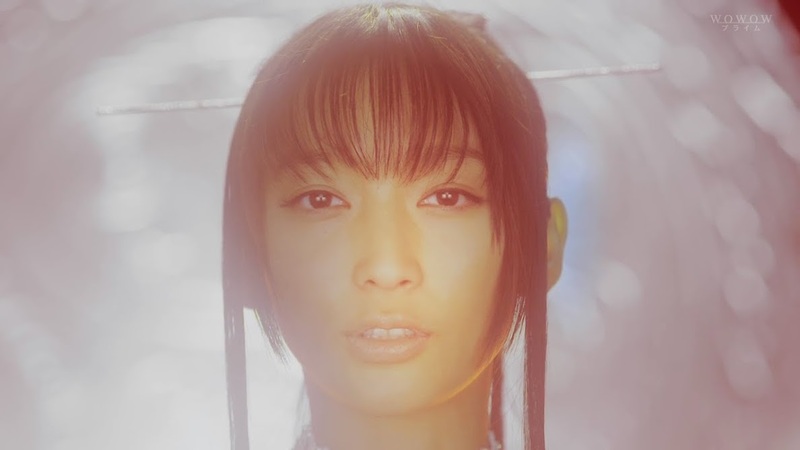 She then looks up at Watanuki and tells him never to forget his body is no longer his own. He looks down at his bandaged hand and Yuko tells him there is nothing in this world that solely belongs to anyone. Why? Because everyone is involved with others and shares things. This is why Watanuki can’t behave however he likes, but that’s also why life is interesting and sad, and adorable. 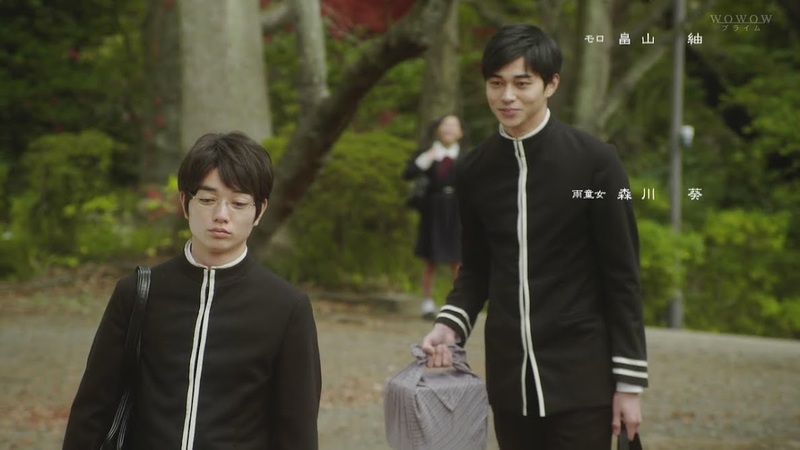 Watanuki heads to school and meets Domeki at the stairs. Watanuki hands over a large bundle to Domeki. What is it? Everything Domeki requested. 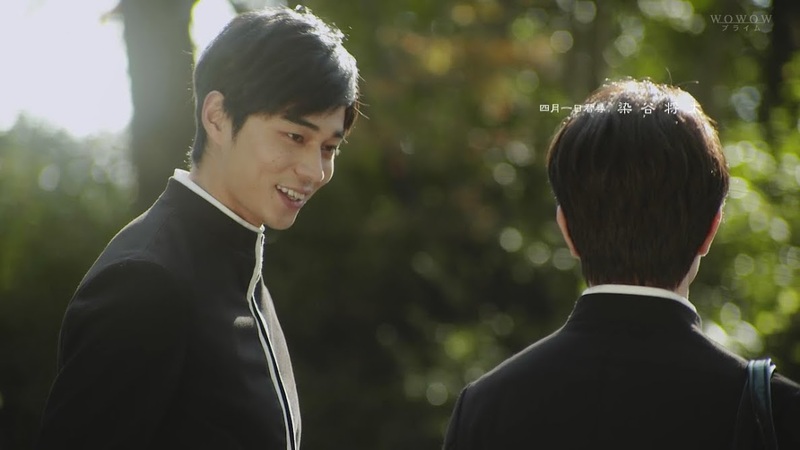 Domeki smiles, this is Watanuki’s repayment? 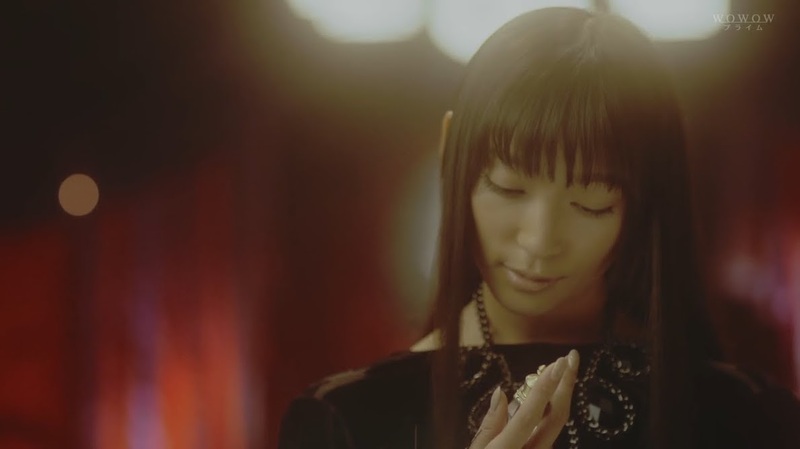 Watanuki looks off into the distance and says that isn’t it. He made this special and large bento because he wanted to. Awwww. Long live the bromance! This makes Domeki smile even more brightly. 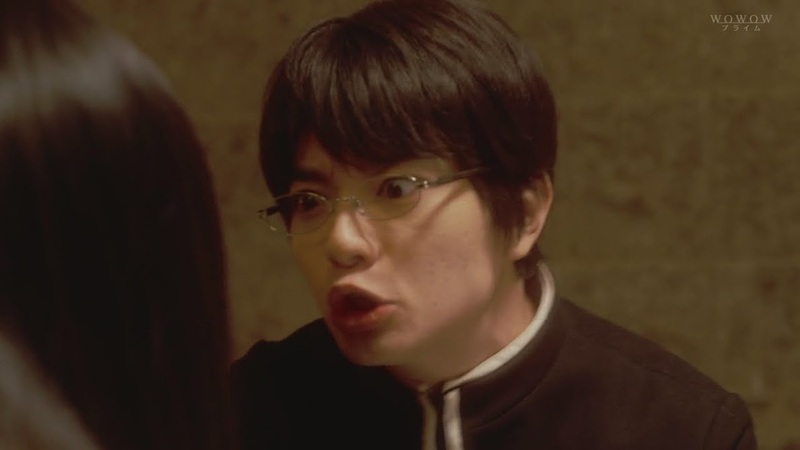 Watanuki gives a light kick and tells him to eat everything. Enter Himawari. 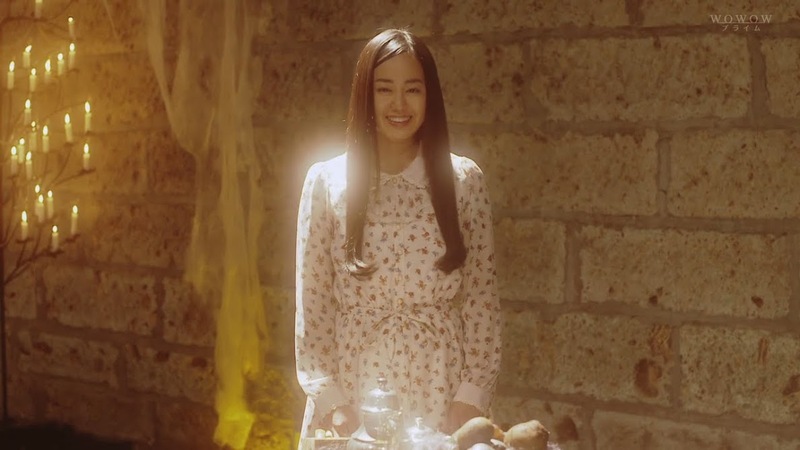 Her hair is back in pigtails and she is smiling brightly once more. She rushes up to the two boys and says they are as close as ever. Like always, Watanuki refutes this. Domeki is mean and made him make a huge lunch. Domeki just keeps smiling and says, “Whatever” as he walks away. Watanuki glares after him. Himawari then takes his bandaged hand and looks up at him with tears in her eyes. She then throws her arms around him. Her sad face is then replaced by a smile and she rushes after Domeki. Watanuki beams and quickly rushes after her, placing himself between Domeki and Himawari. And that’s the end. It was good, but anticlimactic in many ways. And while Karen’s acting improved, it just didn’t quite hit the mark when it needed to, but long live the bromance as it was awesome and well played! 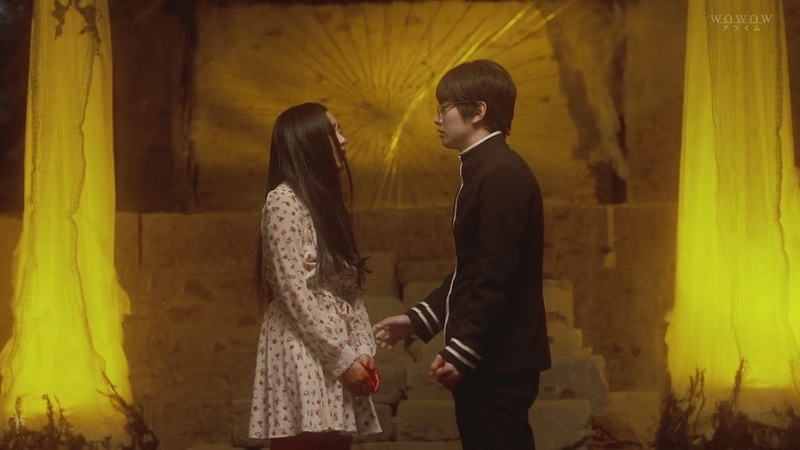 the kiss between jorogumo and watanuki was indeed so… wrong. Where can i buy this Episode? Or where can i watch the full Episode 08 butterfly??? 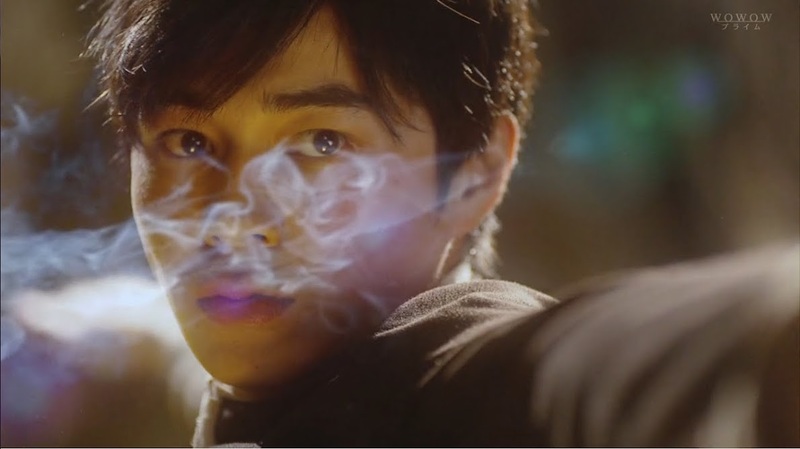 The raw and subtitles are available for free on d-addicts. But if you want to watch it streaming, I’m sure DramaCrazy has it already. The thing that really made me smile though, was the ~~BROMANCE~~. I wish they had given us more of it! 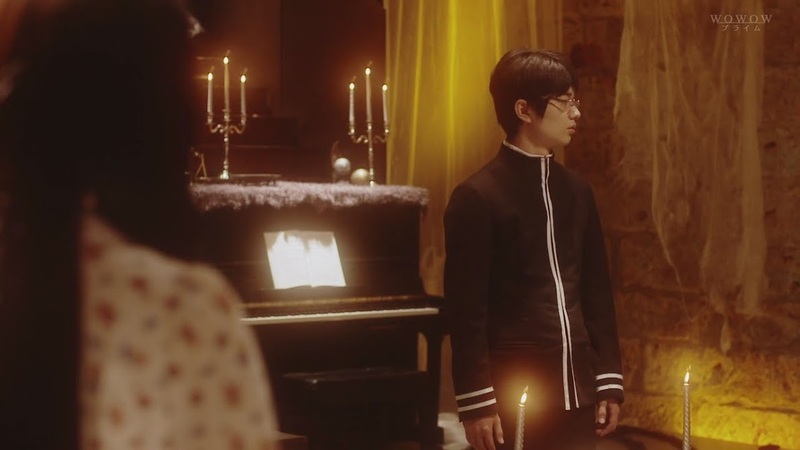 I wish they had lengthened the episode just so I could see more Doumeki & Watanuki bromance! It was! Himawari acting like that was horrible and then Himawari’s horribly fake crying scene where Watanuki was all badass and yelling at her, totally ruined the moment. Sigh. And no epic battle. 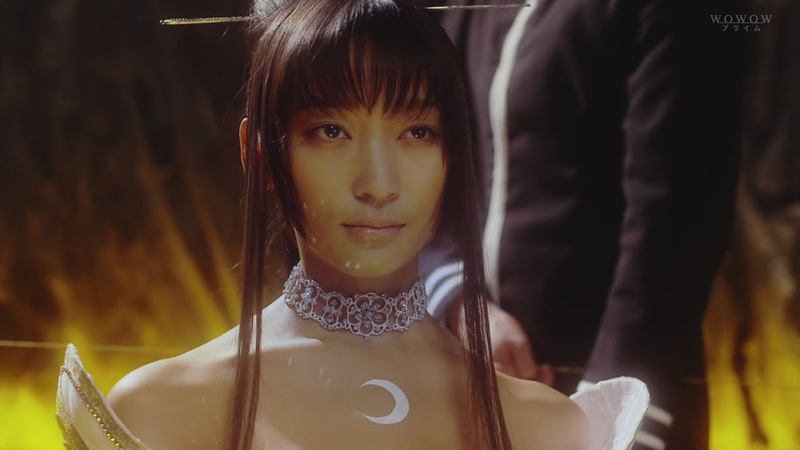 T_T But…xxxHOLIC seemed to do that throughout the series. Things built and were teased only to fall just slightly and disatisfactorily short of expectations. Oh so there wasn’t supposed to be an epic battle in the first place? T_T Darn it!!! 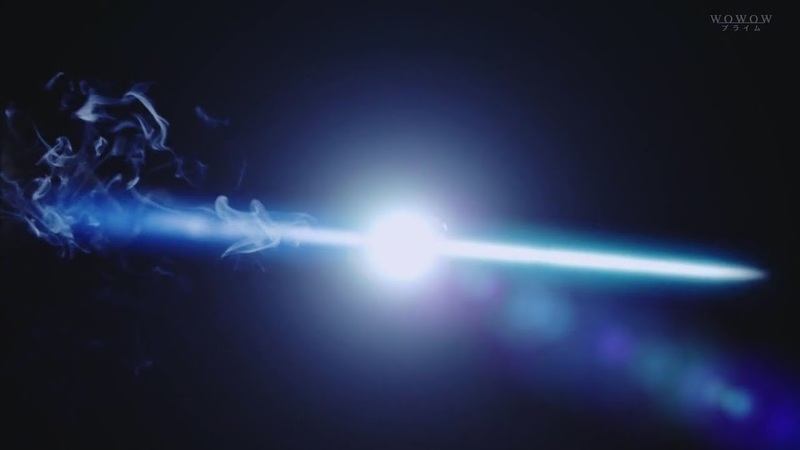 I really wanted one where all of the spirit beings unleash their powers full force! (LOL hopeful wishing, I know) Or were you referring to the drama in general, how anticlimatic the climaxes are? Ummmm. Well, if you go by the manga ending (which is a lot farther along than the Jorogumo plot) it was rather anticlimactic, too come to think of it. 😛 I read the series last fall, so I can’t remember if there really was an epic battle scene being fought out. There was a battle. But I don’t think it was supernaturally epic. I’d have to go back and reread it, though. The series as a whole and the various episode climaxes were what I meant. Sorry If I confused you. If they made a movie version…do you think they’d go all out? What is the manga chapter based on this episode? Sorry, this comment seemed to slip through the cracks. Going of the Wikipedia list of xxxholic chapters, this episode (and a few previous ones) are from chapters 43-51 story arc.